When the Bruins came into Cal’s Haas Pavilion on Feb. 12, they knew they were going to have their hands full with star senior forward Reshanda Gray. And with star point guard Brittany Boyd sidelined because of injury, UCLA looked like it was going to be in good shape if it could contain Gray. What the Bruins were not expecting, however, was the sophomore guard from Compton, California, Mercedes Jefflo, to flood the gym with threes as she went off for a career-high 23 points and shot 3 of 4 from beyond the arc to lift Cal to a 70-64 victory. For most of her freshman year and the first half of this 2014-15 season, Jefflo was primarily a defensive specialist with the speed to execute the Bears’ 2-2-1 full-court defense as well as shut down opposing teams’ back courts with Boyd. Since that night against UCLA, Jefflo has been much more than just a defensive stopper. 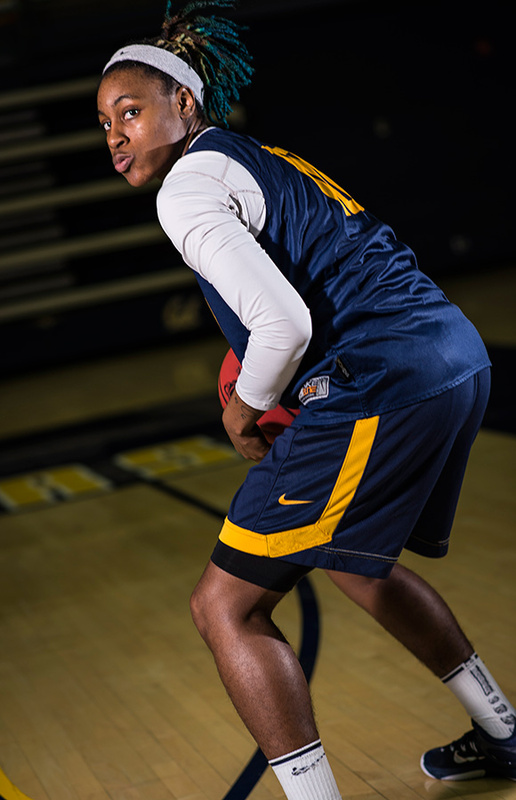 In the past nine games, the guard from Centennial High School has become Cal’s deep threat, averaging a little over 13 points and shooting 20 of 46 from beyond the arc. Because of Gray’s elite post play, opposing defenses prioritize guarding the interior. So for Cal’s offense, having a sharpshooter outside can yield great rewards. In this past nine-game stretch, Jefflo has already attempted and made more shots than all of last year, when she went just 9 for 43. When Cal has needed her, Jefflo has filled in for Boyd and run point, and when the team is desperate for offense, Jefflo has the jukes to shake her defender and create shots. Jefflo has established herself as a third threat on the team who can hurt her opponent in many ways. Her expanded role has led to Cal hosting the Big Dance in the first two rounds this year and potentially going deep into the NCAA tournament. But those who have kept up with Jefflo are familiar with seeing a breakout sophomore season. Backtrack to five years ago: Jefflo is a freshman in high school playing varsity ball for the Centennial Apaches. She is coached by Derrick Florence and Keldric Bradley, both of whom grew up in Compton and have known her since she was in middle school. As Florence and Bradley are watching their team play its way to a 21-7 season, Jefflo is doing the same thing she did for Cal in her freshman year — shining on defense. “Her freshman year in high school, she didn’t shoot one three,” says Florence, who graduated from Harvard and is now an assistant coach for Sacramento State’s women’s basketball team. But Jefflo emerged as the team’s primary offensive threat her sophomore season. 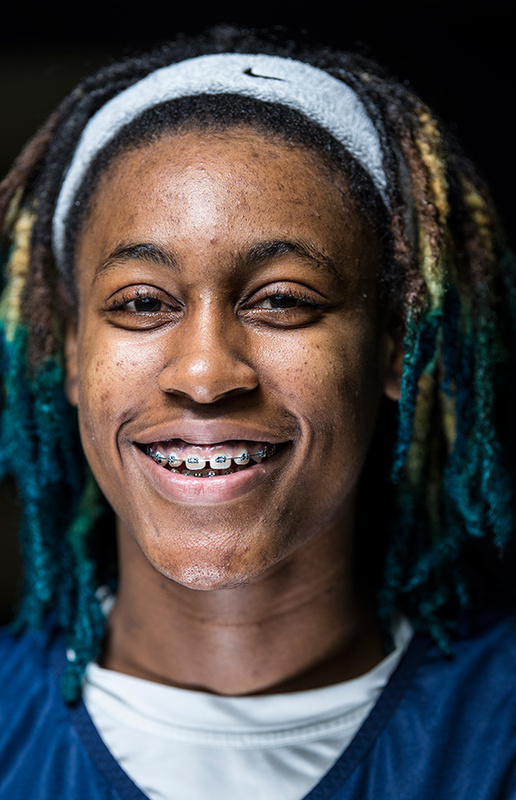 Having never taken a summer off since she first started playing basketball at the age of 4, Jefflo spent the time between her freshman and sophomore year polishing her ability to play at another level compared with the rest of the players on the court. Although Cal is a different environment, this is the second time that Jefflo’s growth as a player has soared after one year of experience in a new league. Helicopters patrolling the skies, ambulances everywhere, gunshots in the air, somebody dying. This is one memory Jefflo has of Compton — a scene she saw nearly every day from her windows at home or on her way back from school. Ever since Jefflo saw her godsisters Tommi and Tami playing ball outside, the sport has been the centerpiece of Jefflo’s life. Having a tattoo on her left rib cage of Jesus’s hands holding a ball, Jefflo considers basketball a blessing and one of the things that helped her make it out of Compton. Despite the negativity that engulfs her community, it was the highs of Compton that have guided Jefflo up to where she is today. Since that first time she played outside with Tommi and Tami, basketball has kept Jefflo occupied for nearly her entire life, becoming her primary activity since she started playing travel ball and at YMCA clubs. One day, when she was playing in a park on Rosecrans Avenue, Bradley approached a sixth-grade Jefflo and invited her to practice with his team at Compton High School. But it wasn’t just basketball that kept Jefflo on her path to college. It was the circle of role models who pushed her in the classroom and gave her the hope that her future did not have to be limited to just life in Compton after Centennial. Florence and Bradley went to college and then back to the community, and they are both people whom Jefflo credits for pushing her to achieve more not only on the court but in the classroom. Jefflo’s sphere of role models expands beyond the realm of basketball. She had the support of single mother Sheila Williams, who raised her, worked and bought her the Kobes, Lebrons, and Jordans needed to satisfy Jefflo’s passion for sneakers. Above all, Williams was her daughter’s mental support throughout her childhood. When her mom was at work and Jefflo had travel ball, her godmother, who was also Jefflo’s first-grade teacher, accompanied her. Every time Jefflo comes home and drives past the YMCA where she used to spend hours practicing, it’s closed. Eventually, Jefflo plans to go back to Compton and start a YMCA similar to the one she grew up with to keep kids off the street. Though she’s busy at Cal, Jefflo still visits her city and high school so she can use her testimony as evidence that making it out of Compton is possible. Because Jefflo grew up with a healthy core of positive role models, she knows that it’s her turn to be a symbol for the younger generation. Jefflo is aware of the stigma surrounding her hometown. She is also aware that those who come from Compton and end up thriving in academics do not have their stories highlighted like other Centennial graduates such as Kendrick Lamar, Arron Afflalo and Dr. Dre. But Jefflo wants to emphasize to her community that academics can be an agent for opening up more doors in life. Jefflo plans to be an inspiration to as many youth in Compton as she can. With Gray and Boyd leaving for the draft after this year, all eyes will be on Jefflo. Although she is confident that other players will step up like she has, the skills Jefflo showcased this past month indicate that she will definitely be on other teams’ radars next year. No matter what happens in the next couple of years, Jefflo, in a way, has already won. 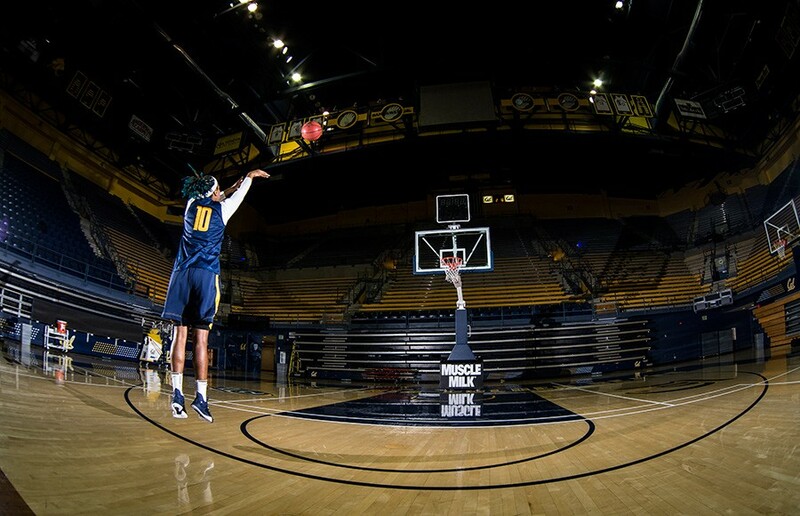 Coming from Compton to Berkeley, she has made her community back home proud. For the coaches, family and friends who watched her grow up, Jefflo epitomizes what they knew was achievable for a young female out of Compton. Although she made it out of the city, Jefflo has not forgotten where she comes from and wears her hometown proudly. “I’m a product of Compton,” Jefflo says with a determined smile as she gets ready to work on what she’s been doing since she was 4 — perfecting her stroke, continuing her success story and making the net splash. Ritchie Lee covers women’s basketball. Contact him at [email protected].